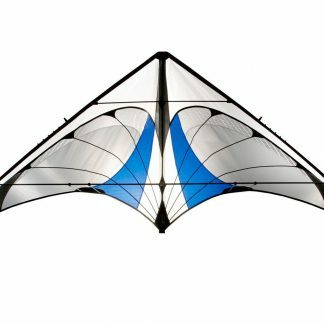 The Zero-G glides on the lightest air currents and even flies indoors. 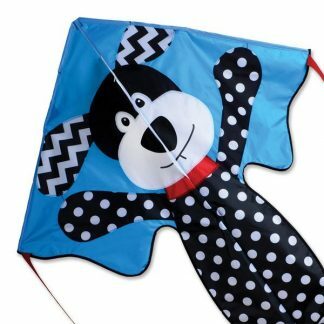 It floats in the slightest breeze. 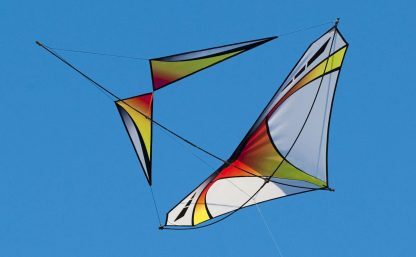 It’s a glider on the end of a string. 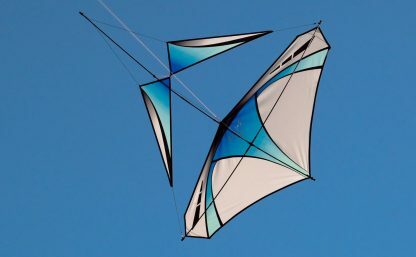 Cast the Zero-G out into the sky. 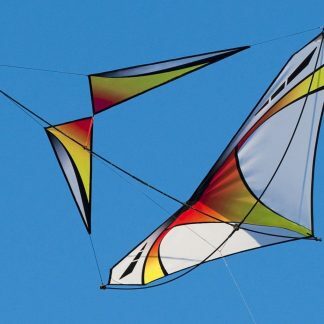 Play out the line, working the glider in a widening arc over your head. 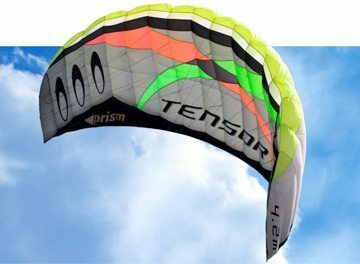 Reach up to catch a thermal. 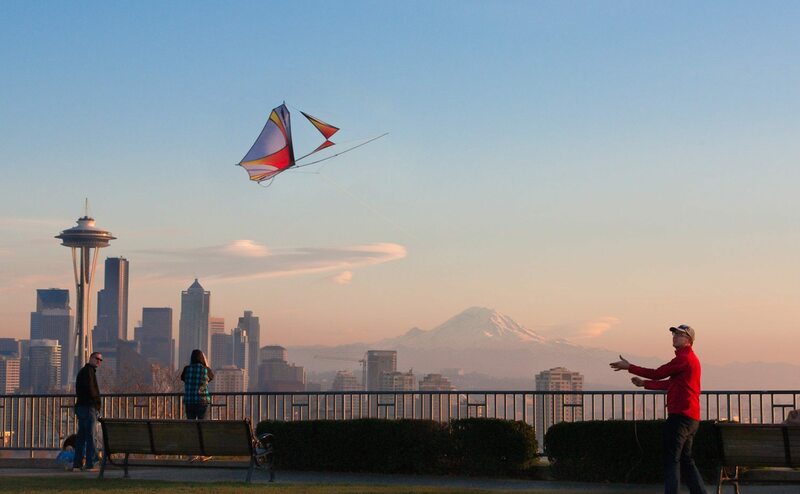 Soar. 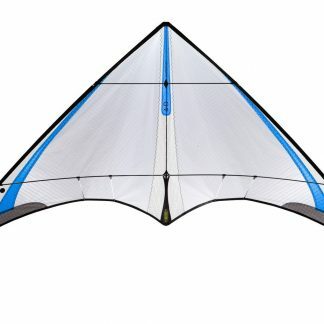 The Zero-G is pure piloting pleasure anyone can enjoy in low wind, no wind, or even indoors. 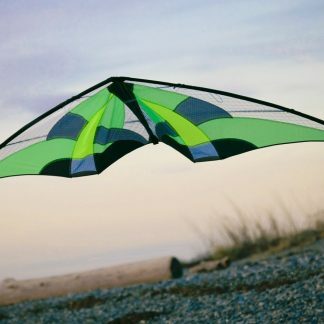 This is a re-imagined glider of the 1920s using modern materials. 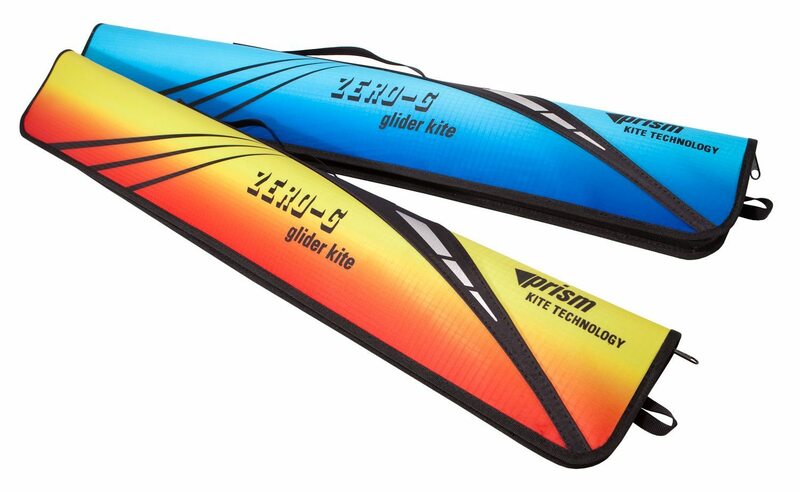 The Zero-G sports ultra-lightweight fabrics and a superlight carbon frame that weighs just 2 ounces. 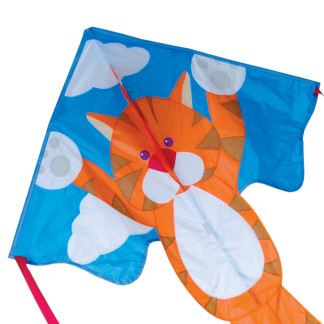 A true canard-style flying machine, it flies with the small wings facing forward which makes it impossible to stall. The Zero-G comes in a zippered sleeve with flying line, polycarbonate winder and detailed instructions. 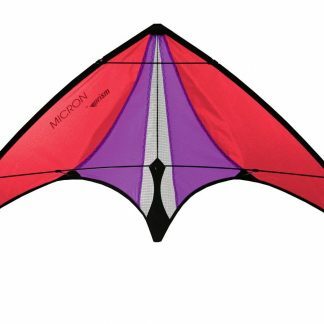 Toss it as a glider with no string attached, or soar through the sky with precise control just by pulling and releasing the line. 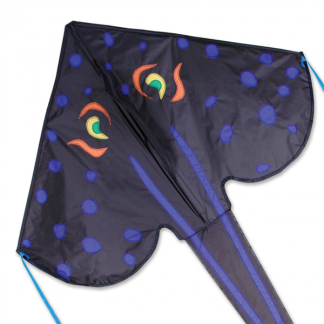 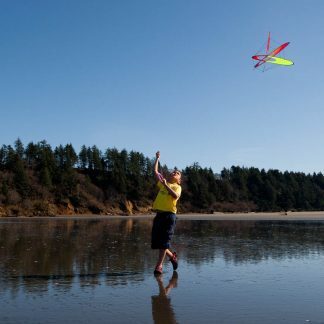 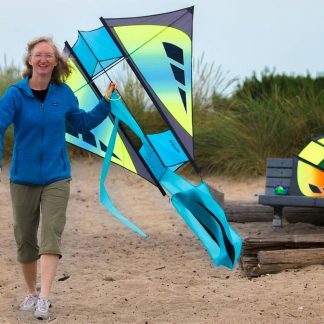 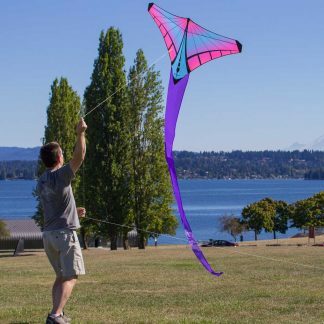 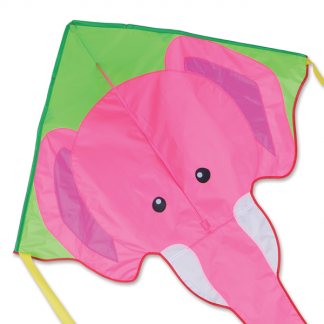 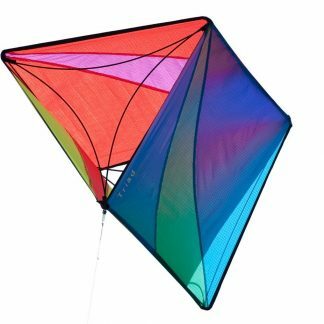 Unlike traditional kites, it will glide like a airplane when you release the line, allowing graceful aerobatics in winds from no wind at all to 10 mph.